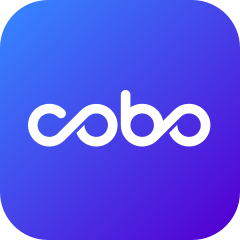 A new digital currency value-added service available to users of Cobo Cloud Wallet, BitGrow [7D] is a 7-day low-risk TRX asset management plan (other currencies coming soon) that provides users with high-quality and convenient TRX asset appreciation through quantitative transaction trading. 【Lock Cycle】The lock-in period of this product is 7 days. Starting date of 7 day period begins on the day after purchase period ends. Locked-in assets may not be withdrawn before the end of the 7-day period. Plan purchases cannot be refunded. 【Gain Calculation】 Gains will be calculated from the end of purchase period. Initial assets + gains will be transferred automatically after 7 days to users’ wallets. The lock-up period is 7 days, starting from the end of purchase period, and the principal and interest will be refunded once after the lock-up period, and will automatically return to the wallet. There are no other fees (e.g. redemption, management fees).